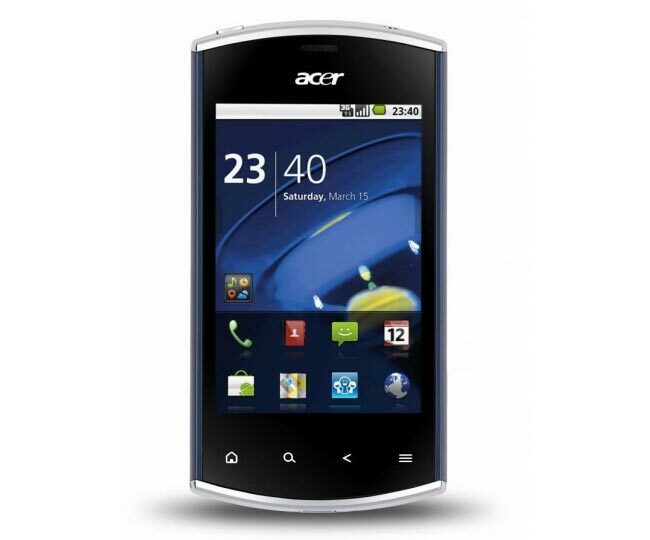 Acer has announced that its latest Android smartphone, the Liquid Mini will be available in the UK in April this year. The Acer Liquid Mini will come with Android 2.2 Froyo and features a 3.2 inch HVGA touchscreen display. The Acer Liquid Mini also comes with a five megapixel camera, and it is powered by a 600MHz Qualcomm processor, and will have 512MB of RAM and ROM. The Acer Liquid Mini will also come with a microSD card slot, with a 2GB card installed which can be upgraded to a 32GB microSD card. Other features include Bluetooth 2.1+EDR, WiFi and an FM radio. There are no details as yet on how much the Acer Liquid Mini will retail for when it goes on sale in the UK in April.